Welcome to Heron Walk Luxury Vacation Rental condos! These large hometown style condos are a little different than your normal beach-side condominiums that you might see. Each one is only two stories and offers guests 2 and 3 bedroom properties to choose from. The view that guests will see when staying in these condos are looking right over the bay. There is a community pool that is close by to each condominium that all guests are welcome to. When it’s time to head to the beach, there is a tram service that is provided to all guests to make it easier to take all of your beach accessories. After spending your day walking up and down the white sands of Miramar Beach, or lounging out by the pool with your family, make your way down to Baytowne Wharf to experience the miraculous night life that it has to offer. Grab a bit to eat in one of the many elegant restaurants and then find your favorite band to stop and listen to. Don’t forget to stop in one of the several shops and boutiques to fulfill your shopping needs before you head home. 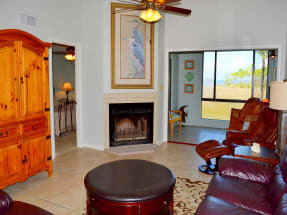 When you find your perfect vacation rental on Emerald Coast By Owner, call the property owner today or send them a message directly by clicking on the EMAIL OWNER button found on each listing, they will gladly assist you in the booking process. ECBYO does not charge any service fees when you book with us, so book online today and save!